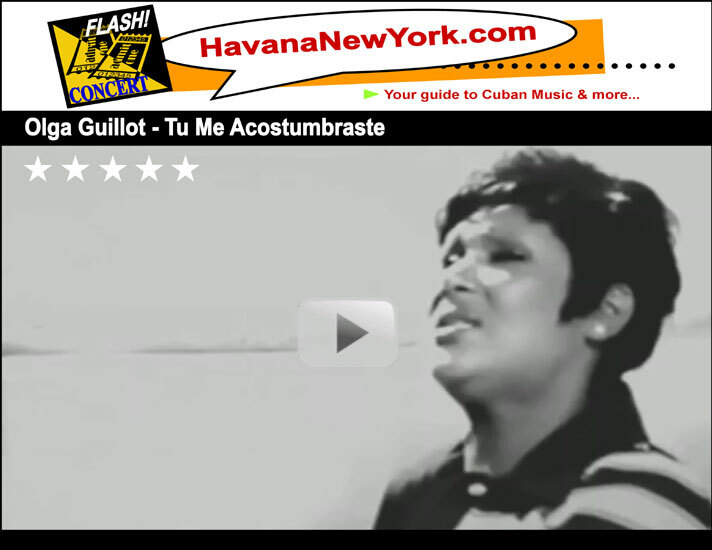 Latin Grammy winner Olga Guillot became one of the most popular performers of Cuban bolero during the '50s. After moving to Havana from her native Santiago de Cuba, she joined her sister in Dúo Hermanitas Guillot, debuting on a radio show called La Corte Suprema del Arte (The Art Supreme Court). Later, she studied music and joined a foursome, called Siboney, making her debut as a solo artist in 1945 while singing at Havana's Zombie Club. In 1946, her fame reached the U.S. after recording a Spanish version of "Stormy Weather." She got the opportunity to make her first record in 1954 after signing up to an independent label and released "Miénteme," composed by Mexican Chamaco Domínguez. On October 31, 1964, Guillot became the first Latin artist to perform at New York's Carnegie Hall. The legendary Cuban singer Olga Guillot "the queen of el bolero" passed away Monday at the Mount Sinai Medical Center in Miami Beach. She was 87.